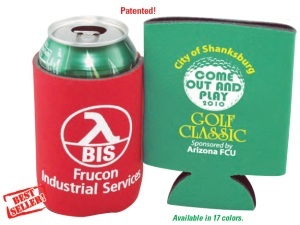 Insulated Can Coolers Imprint Area is h3-1/2" x 3" per side. Wrap imprint area is h3-1/2"x7". An additional $60 non-refundable artwork charge must be paid before work can begin on new orders. 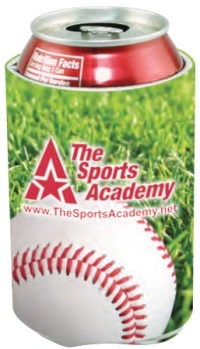 Re-orders for full-color can coolers are $50 reset fee. 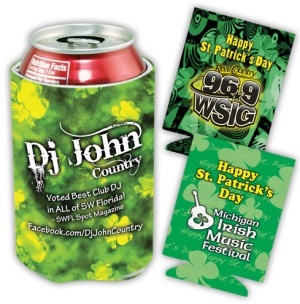 Full-Color Process Insulated Can Coolers Imprint Area is h3-1/2" x 3" logo area; wrap logo area is h3-1/2"x7"; background is h4"x8". Scuba Bottle Cooler is a holder insulator with zipper. 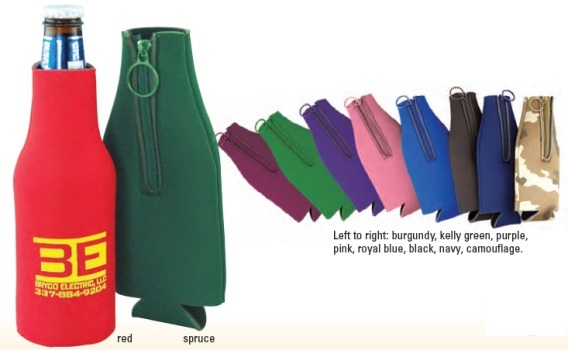 Collapsible insulated bottle jacket is made of scuba open cell foam material for 12 ounce bottles and longnecks. A cool companion that will keep your drinks cold and your hands dry. 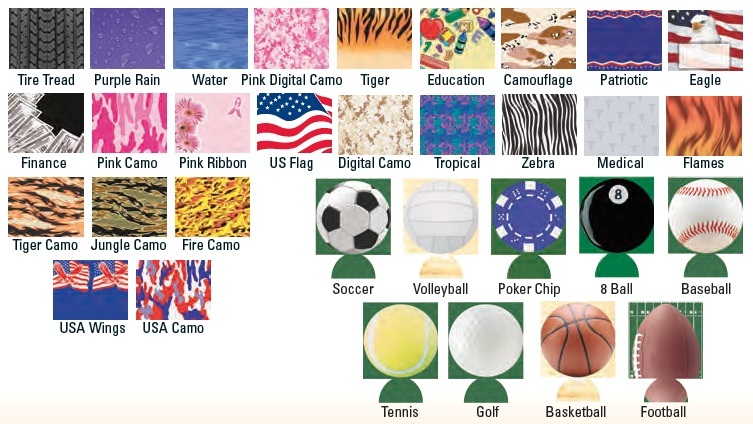 A great giveaway that will display your company's logo for maximum exposure. 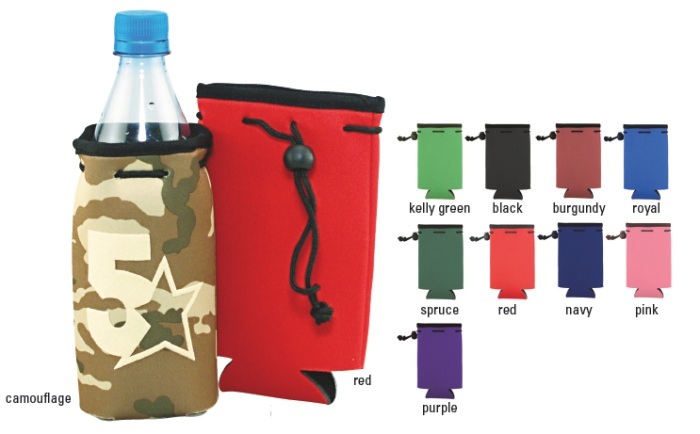 4-color process Scuba insulated bottle holder with zipper. 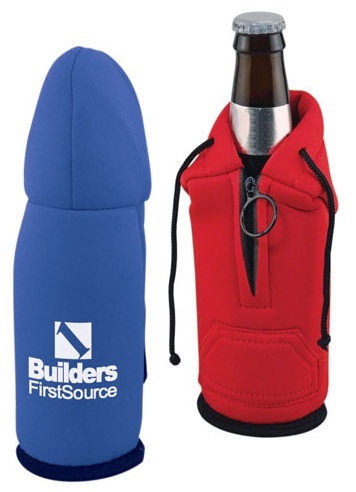 Collapsible bottle jacket made of open cell foam material for 12oz bottles and longnecks. Full color imprinting with sky's the limit background graphics is sure to make your corporate image or local event more memorable. An additional $60 non-refundable artwork charge must be paid before work can begin on new orders. Re-orders for full-color bottle coolers are $50 for reset fee. Full-Color Process Insulated Bottle Coolers Imprint Area is h3"x2" for logo; h8-1/2"x5" for background (1-side imprint only for logo). Insulated Bottle Chillers Imprint Area is h3-1/4"x3". Wrap imprint is not available.